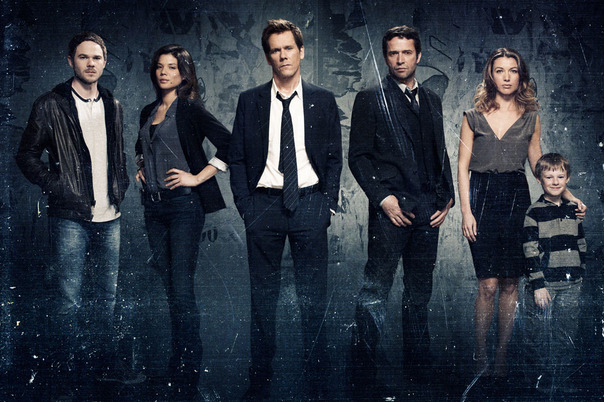 Cancellation Watch: The Following Gets a Following with Debut, but Can It Keep It? FOX just may have a hit on its hands with the Kevin Bacon/Kevin Williamson serial killer drama The Following that debuted on Monday night. The premiere episode pulled a 3.2 rating in the 18-49 demographic (based on the preliminary numbers and adjusted up from the 3.1 first reported) and its total viewers were at 10.4 million. That’s an impressive bow and its the second highest premiere for a new drama this season, behind NBC’s Revolution. Now, it’s a matter of whether The Following can keep its audience. Last year at right about the same time, the J.J. Abrams series Alcatraz debuted in the same timeslot and pulled an impressive 3.3 rating in the 18-49 demo. But it started to decline the following week and by the end of its season its was pulling only a 1.6 rating which led to its cancellation. The Following needs to avoid that trend and it also needs to stay north of a 2.5 rating if it wants to get a second season renewal. If it starts to approach a 2.0, that will put it firmly in bubble territory, and if it drops below that then it will likely end up exiled just likt Alcatraz. As for whether The Following truly counts as a genre show, it’s hard to say at this point. The first episode delivered a pretty riveting drama and suggested that primary antagonist Joe Carroll has some sort of power over his extensive cult following making him the Alpha of his serial killer pack. That might lend itself to some supernatural or paranormal explanation, but the series hasn’t gone there yet. I can say, though, that based on the pilot it looks like a damn good show and one that I definitely will be following throughout the season. Keep an eye on this column for the ratings results, and I will be looking further at this and the other new mid-season entries in a separate column next month. On Sunday night, ABC’s Once Upon A Time took a pretty major hit to its ratings for the second week in a row. Two Sundays ago it was the Golden Globe Awards beating up on the show and this past Sunday the NFC playoffs stole away viewers as the show only pulled a 2.4 rating in the 18-49 demo and 7.7 million total viewers. That’s a series low, but I expect it to rebound. Once Upon A Time will take a two week break (possibly in part to avoid the inevitable drubbing from the Super Bowl it would get on Feb 3rd) and it should be back up close to its season average of a 3.2 rating when it returns. This week has had a delay in the ratings results because of the MLK holiday, so the numbers for the Monday cable broadcasts are not available yet. Watch for the numbers on those and the rest of this week’s shows at the Cancellation Watch Twitter Site and you can see the Cancellation Alert status of all the shows currently airing plus the final results from prior seasons at my Cancellation Watch page. And for questions on how the ratings work and my Cancellation Alert statuses, you can see the Cancellation Watch FAQ.